In today's culture, we place more emphasis on our wellness than ever before. After all, a higher level of overall well-being leads to a higher quality of life, which better equips us to conquer our limitations and enjoy doing the things we love most. At Infinity, we aim to help people of all lifestyles do just that. The weekend warrior in need of pain relief and prevention after brief but high-intensity workouts. The active senior needing to maintain flexibility, range of motion, and circulation. The recuperating athlete getting back on the wagon after suffering and recovering from an injury. The couch potato ready to ease the transition into an active, healthy lifestyle. The chronic pain patient working to overcome pain and discomfort and enjoy everyday life once more. The office worker looking to improve posture and reduce back pain from long days spent at a desk. The chronic stress sufferer facing anxiety and tension while working toward mental wellness. The on-the-go parent desiring a few moments of peace and relaxation away from the hustle and bustle. While the goals and struggles may vary, all Infinity customers utilize the benefits of our massage chairs to unlimit their lives. Whether you fall into one of these categories or land somewhere in between, Infinity is here to help you achieve wellness in your life. Each Infinity massage chair is the result of months of engineering and innovation, so we know our chairs are amazing, and that’s why our team members are more than happy to go above and beyond to help customers. We answer every product question or concern exclusively through our in-house support team, located in our home office in New Hampshire. Here, we also keep a warehouse of individual parts and components, as well as fully assembled versions of every chair, so our support team can easily access anything they could possible need to assist customers as efficiently as possible. Infinity refuses to settle when it comes to innovating our massage chairs. We have consistently been at the forefront of implementing new technology, which in the past has included reflexology, space saving mechanism, 3D massage, and inversion therapy. 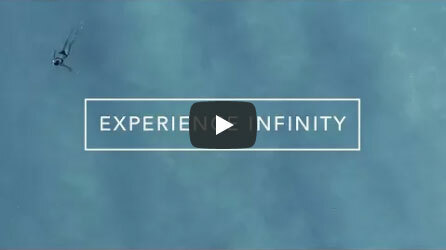 You can rest assured that our massage chairs continuously offer the best technology available, and whatever the next big idea is, Infinity will have it. Every customer is different, so why should they all get the same solution? Over the years, we’ve engineered a wide variety of chair models to fit a variety of lifestyles, body types, and wellness goals. We love hearing new requests from customers, because it means we get to add a new solution to our lineup. We even apply our multi-solution thinking to our educational materials, because we know not everyone learns the same way. In addition to standard operational manuals, we offer simplified “quick start” guides, video tutorials, and friendly phone support. Regardless of your needs and preferences, Infinity Massage Chairs offers the ideal solution for your lifestyle. To truly promote wellness, we believe it needs to be part of our culture. We prioritize maintaining a happy and relaxed environment among our team members by wearing clothes that make us comfortable, socializing during monthly lunches, and enjoying regular pet therapy thanks to our dog-friendly environment. Of course, we also take advantage of the mood-boosting abilities of our massage chairs, and encourage every team member to get two massages per week (we don’t exactly have to twist any arms). We know that a healthy culture not only benefits employees, but also improves the quality of service provided to customers, which means more wellness all around. We are not afraid to challenge ourselves, our manufacturers, our team, and the industry by making bold decisions to achieve success and carry out our mission. Infinity can proudly say that our distribution channels are more diversified than any of our competitors—meaning we also deliver wellness to the widest range of people. We achieved this by entering previously unexplored markets, despite the uncertainty. Our success can be attributed to our solution-based thinking, which we encourage among all of our employees. This fortitude inspires everyone that we work with to have equal confidence in our brand and products.